Have You Been Fooled by Organic Food? I really love organic food—I get happy going to Whole Foods—but a new study made me think. We may believe that organic foods are nutritious and that they taste better, but, according to new research, our minds may be playing tricks on us. A total of 144 people participated in a double blind, controlled trial at a mall, according to this press release. (Yep…a mall. But keep reading!) Graduate student Jenny Wan-chen Lee of Cornell University’s Dyson School of Applied Economics asked participants to taste and evaluate several products: “conventional” and “organically produced” chocolate sandwich cookies, plain yogurt, and potato chips. But—and this is the important part—all of the products were actually organic. Participants preferred the taste of almost all of the “organically labeled” food, even though those foods were the same as the “conventional” products. Participants thought organically labeled foods were significantly lower in calories, lower in fat, and higher in fiber. Overall, participants thought the organically-labeled chips and cookies were “more nutritious” than their conventional counterparts. My take-home point? Even if our organic cookies and chips taste delicious, their labeling does not make it okay to always eat supersize portions! So what do you think? Do organic foods really taste better, or do we just like them because of their labels? This entry was posted in food, health, research and tagged food, health, organic, research. Bookmark the permalink. 6 Responses to Have You Been Fooled by Organic Food? Have you heard of Michael Pollan? He’s awesome and talks about eating better, and certainly promotes organic food but also warns us that just because its organic doesn’t mean its GOOD FOR YOU. I.e. organic chips , soda, candy are still BAD for you. I try my best to avoid the top ten contaminated produce and go regular with all the rest of my food. I love Whole Foods but can’t afford to make it my go-to place for everything! Yep, you can definitely spend some money in Whole Foods. 😉 And no, I hadn’t heard of him but will check him out. 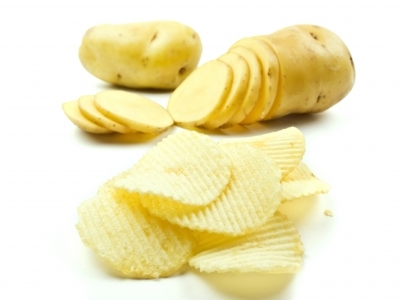 I really like chips, for instance, but also know they’re better in moderation–whether they’re organic or not! Yes, I would definitely recommend Pollan! Omnivore’s Dilemma, and then his follow up book too! 🙂 OD is a little slow to start, I heard it as an audio book- but its really good at explaining why the food we eat is actually dangerous- and he does it without resorting to fear tactics but even worse, just showing us through facts the truth about what we eat. Oh, I do know that book! Just didn’t recognize his name. I’ll let you know if I read it. Another thing to check out (if you haven’t already) is Food, Inc. It’s a documentary that happens to feature Pollan. It was hard to watch at times (I admit) but very interesting. This is really interesting. I think for a lot of people, eating organic (wrongfully) takes away some of the guilt we’d normally feel when eating a bag of cookies. I guess we forget that a lot of foods, even in a more “natural” state, are still fattening!